Sumio Harada, a Japanese-native filmmaker whom has had work in National Geographic and other publications, captured photos of a grizzly bear stalking and killing a kid mountain goat on the east side of Glacier National Park. According to an article at cdapress.com, Harada spent June 21 filming the goats at a sloped salt lick. 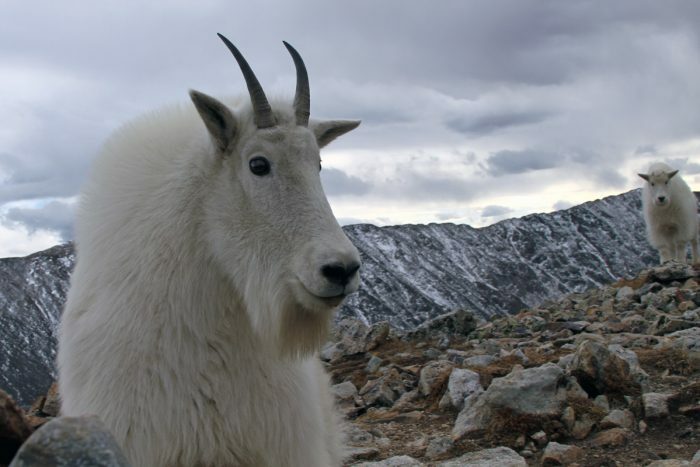 His first day of filming, he apparently didn’t get much footage, but the next day he returned and it was calm and at least 18 goats were at the site. 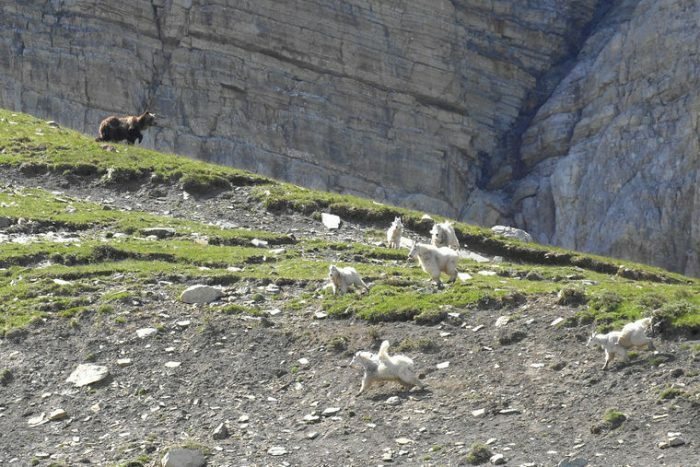 Shortly after noon, a grizzly came down the slope and began stalking the goats. Harada filmed the scene with a super telephoto lens and a 4k digital camera from more than 100 yards away. 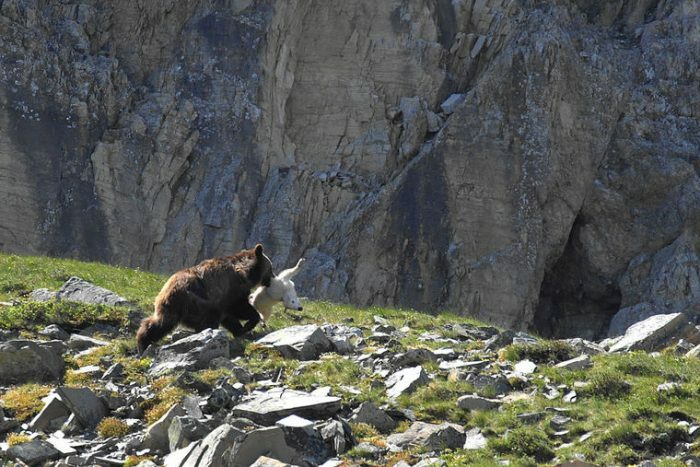 The grizzly bear then started chasing the goats, which scattered and disappeared out of view. When the bear reappeared, it found itself some lunch. Apparently, Harada recorded the activity of the bear packing the dead goat back to wherever it planned on feasting. The photos below are screenshots taken from the footage he recorded. Kind of a neat thing to witness. Grizzly bears gotta eat, too!